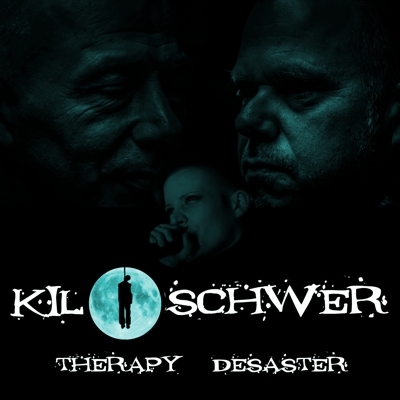 after the release of their maxi-single �killing war�, the ebm-band kiloschwer from dortmund now releases their debut-album �therapy desaster�. eight additional ebm-goodies are published here which complete kiloschwer�s production and make it a successful work of art. kiloschwer convinces with strong beats perfectly made for the dancefloor. nevertheless, again and again melancholic pad sounds appear and gleam gently. rhythmically driving recitatives in german and english press kiloschwer�s tracks powerfully forward. from time to time a melodic female backgroundvoice completes the unique sound of kiloschwer. 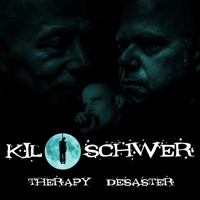 kiloschwer, a new star on ebm-heaven that will soon be enriching clubs all over the world. kiloschwer � authentic, heavy, and compact.